You are invited to join Visit Frederick for a day of training as we explore Northern Frederick County on our annual Fall Front-line Familiarization Tour! Our front-line familiarization tour is designed for front-line employees who regularly engage with visitors to the area. Did you know that visitors to Frederick County spend over ONE MILLION DOLLARS a day? 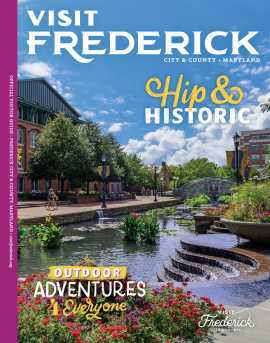 The day of touring will offer a flavor of what visitors can see and do during their stay in Frederick and familiarize employees with our offerings to better assist visitors with their plans during their stay. On the tour, we will explore attractions and take a peak inside some new businesses while learning a little history along the way!